Dante Gabriel Rossetti (1828-1882), Painter and poet. Artist associated with 22 portraits, Sitter in 29 portraits. 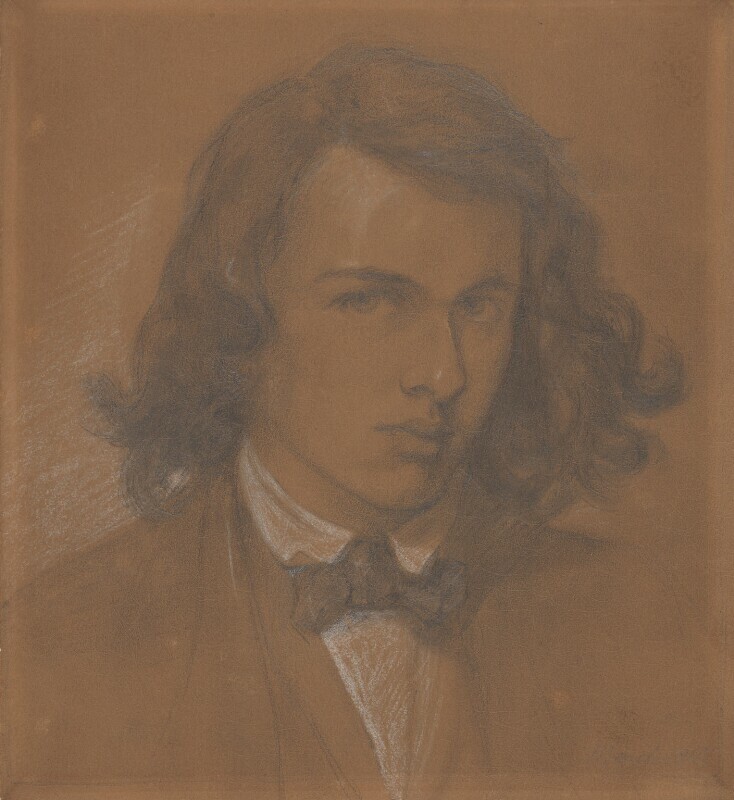 Rossetti was eighteen, and a student at the Royal Academy, when he drew this self-portrait. It captures the rebellious and highly romantic self-image which he projected at this time.